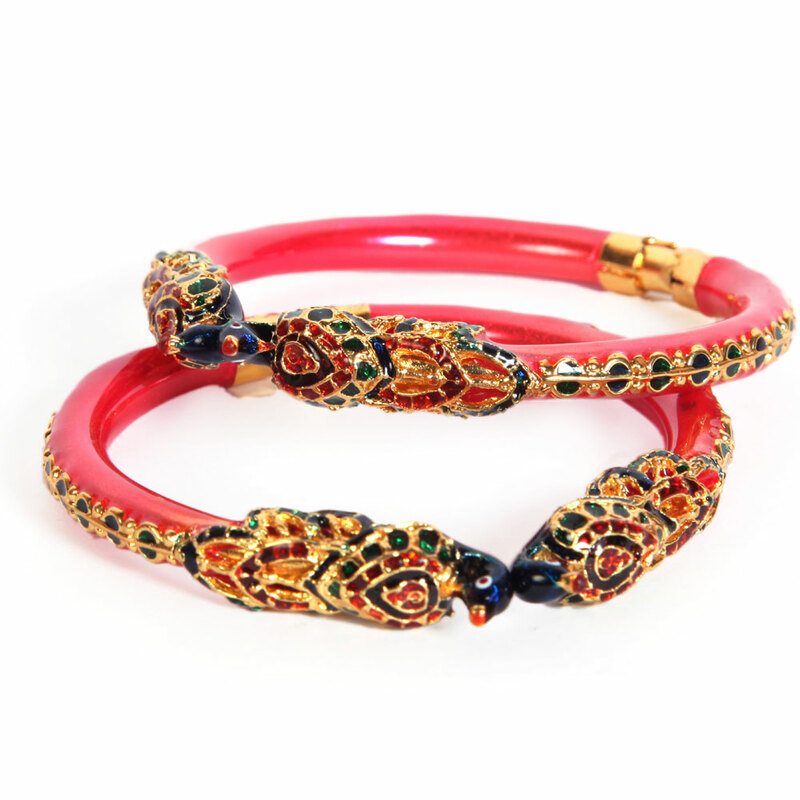 The colorful stone adorned peacock heads that square measure featured during this combine of designer bangles extend within the kind slim pattern covering the complete circumference of the bangle. The colourful stone adorned peacock heads that are featured in this pair of designer bangles extend in the form narrow pattern covering the entire circumference Read More..of the bangle. Beneath the pattern the gold plated brass metal base of the bangles is superimposed with red stone layer for lively look. Show Less..